Lovely, ancient Edinburgh you have my heart. From the stone of the buildings towering above to the well-trod steps leading up, up to the whimsically named Lady Stair’s Close your history and beauty take my breath away. Took a mini city break last Sunday- the train whisked me through Fife to Edinburgh where overcast skies put no damper on my visit. In fact I think it rather set the mood for my outfit: navy houndstooth trousers, gold pointy toed loafers, a black off the shoulder jumper and my beloved charcoal St Emile coat. Visited the Scottish National Gallery, admired the art and the architecture for a spell. Then met up with the utterly fabulous Graham Reid, better known as beauty blogger @prinny_g for a late lunch. 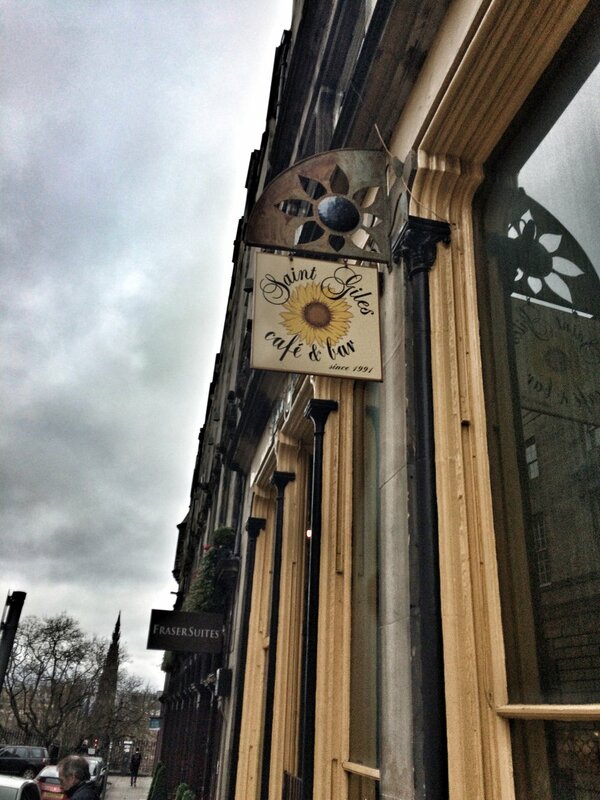 Cafe St Giles, charmingly located across the way from the gothic church, provides a most tasty fare. 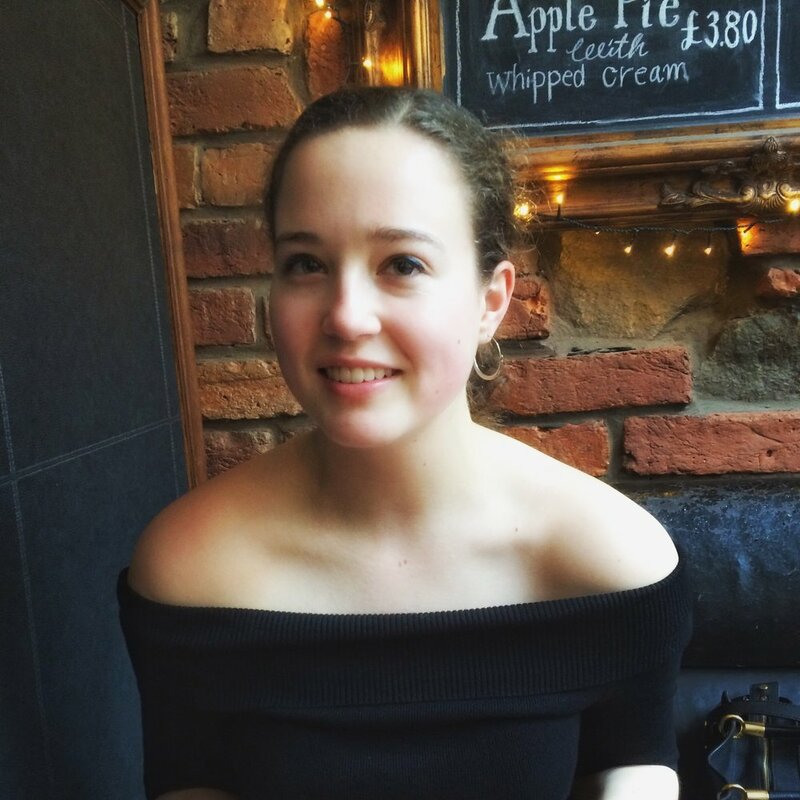 Impromptu photoshoot occurred on The Royal Mile, playing tourists although Graham in his glaswegian accent would say “Honey you’ve lived here for two years, Scotland’s adopted you by now”. This girl counts herself lucky to have fallen in love with such a wonderful country! 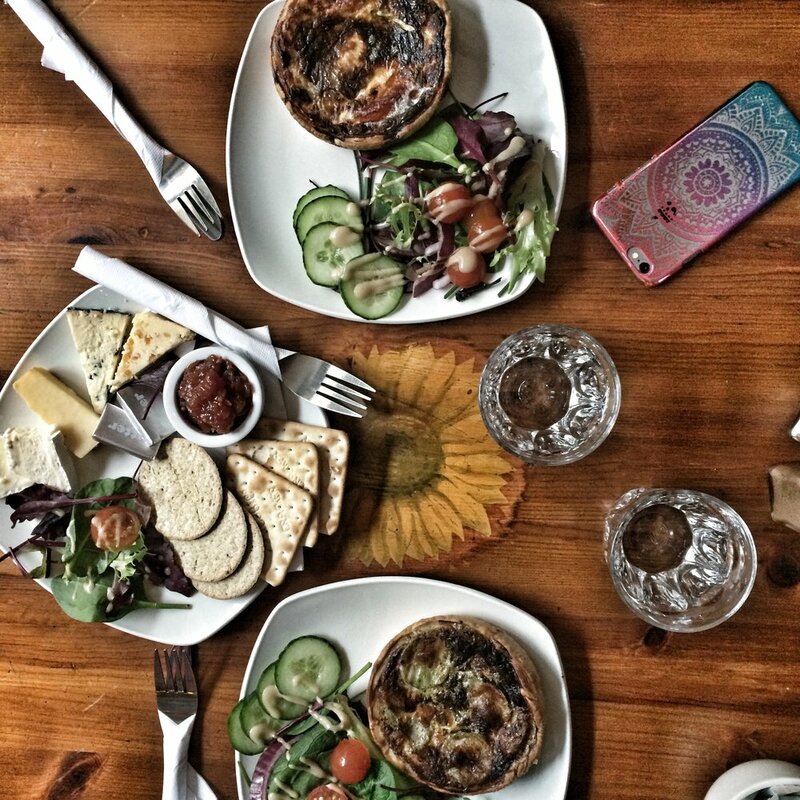 Quiche for you, quiche for me, cheeseboard for us both! Thanks for commenting, I’m glad you enjoyed!